Constructing the Refinery (in LEGO). Grantmasters messaged me recently to tell me about another interesting LEGO creation from the universe of ALIEN. This one was built by Remco Rohaan. I only recently started designing my own LEGO, but loved LEGO since I was a small kid! Who didn’t? Through trial and error, I published my first LEGO design this May 2017; the USCSS Nostromo with Refinery from the original Alien motion picture (1978). I am a big sci-fi fan so expect more works from franchises like Alien and BSG. I am also have some less “futuristic” ideas for LEGO models … if only there was more time to finish all of them :-)! Next to being a LEGO fan, I enjoy the outdoors with my wife and two young kids, sports and have a keen interest in photography. In two galleries containing a total of 56 photographs, Remco documents the construction of one of science fiction’s iconic industrial spacecraft. 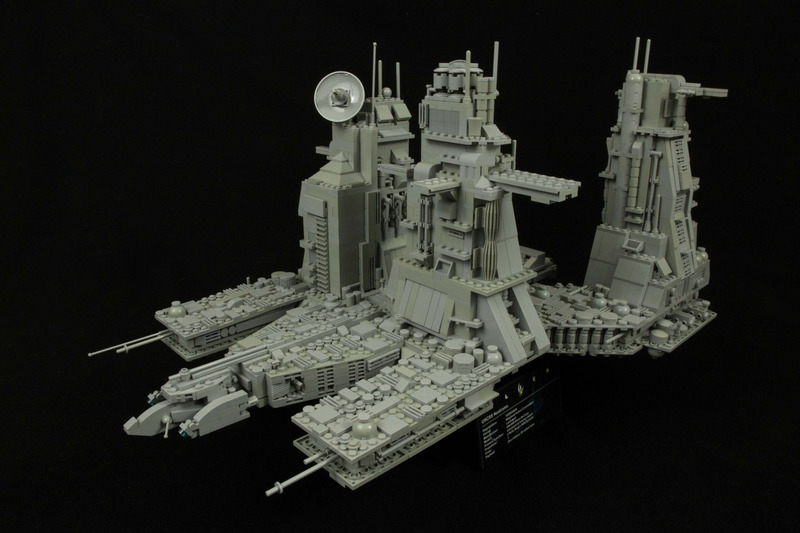 LEGO USCSS Nostromo Refinery, by Remco Rohaan. Previous ALIEN Narcissus by Steve Carricato.